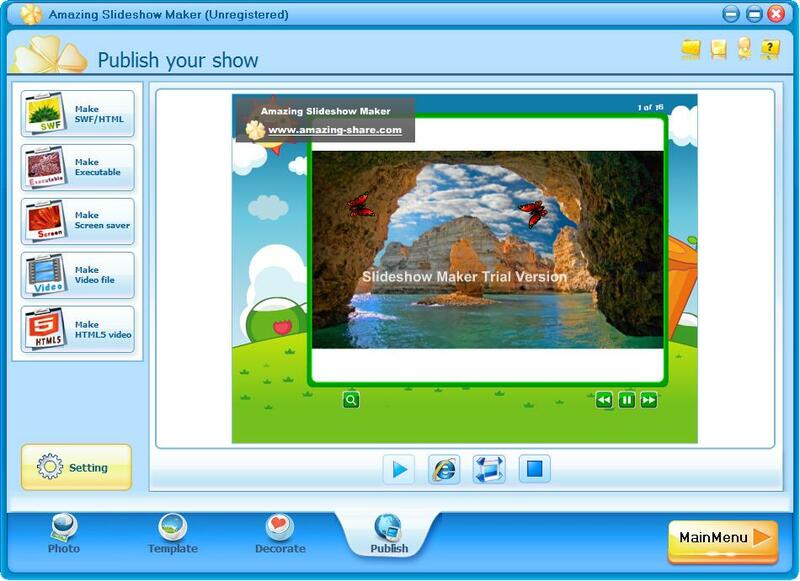 With Amazing Slideshow Maker software, you can make a slideshow with pictures, videos and background music. Make slideshow in PowerPoint and HTML; make slideshow on YouTube, Facebook, instagram and snapchat. 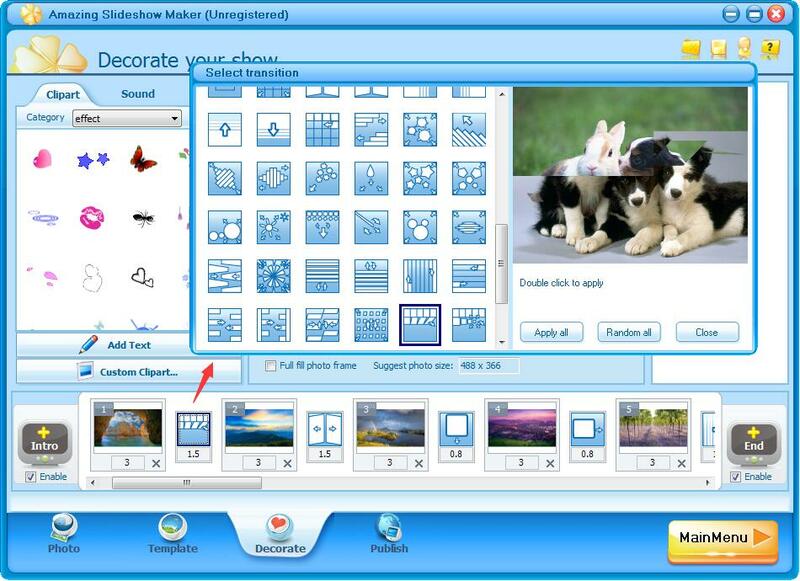 Download Amazing Slideshow Maker and double click the installation package to install Slideshow Maker on your computer. After that, click the app icon to run it. 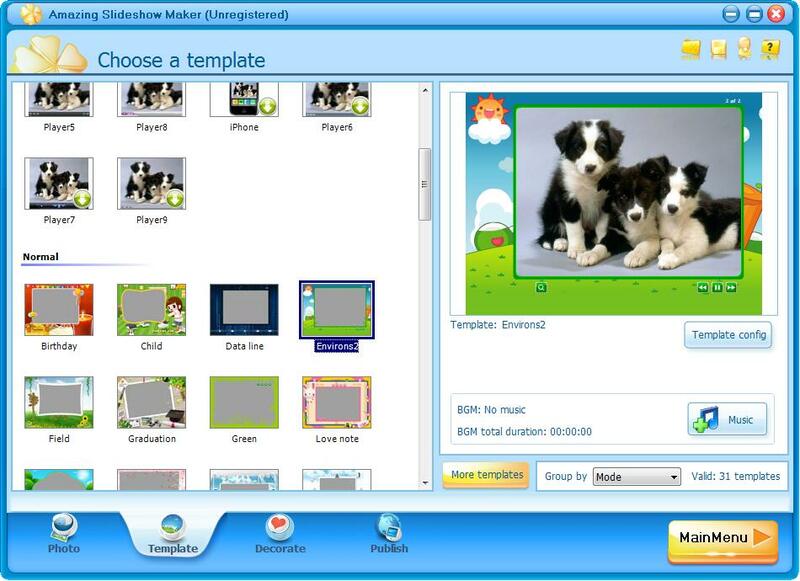 Click "Add photo" to load image files and click "Add Video" button to import videos. You can download additional templates pack via HERE. 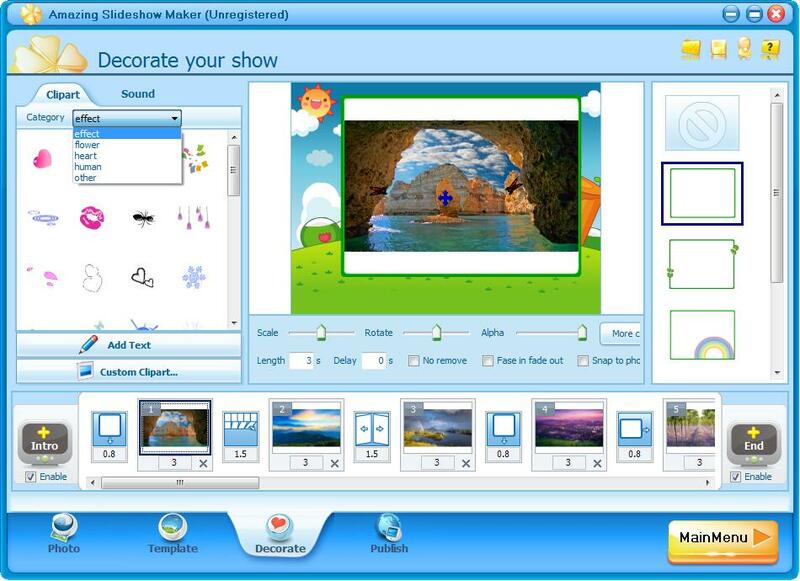 Add clipart and sound to slideshow or add text and custom clipart to photo/video files. You can also add different transition effects to each file. Click "Setting" to customize slideshow. 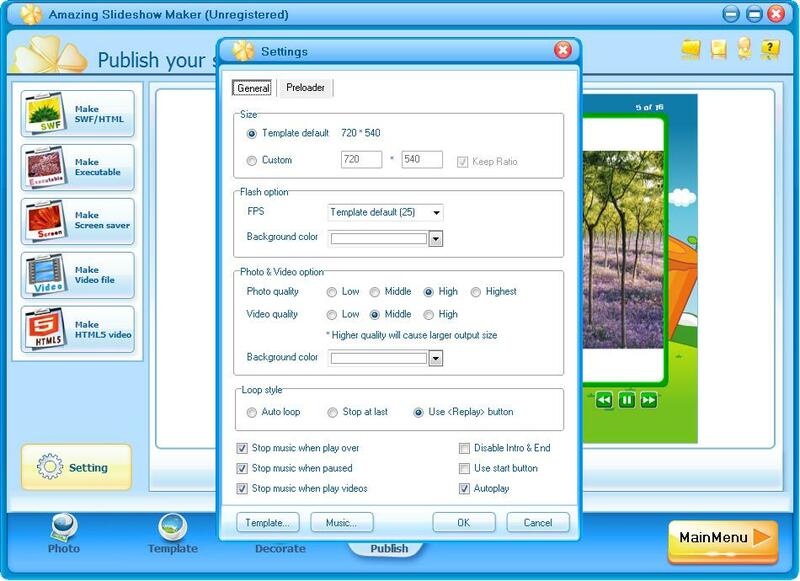 You are allowed to preview slideshow and then publish it as SWF/HTML, Executable, Screen saver, Video file or HTML5 video. 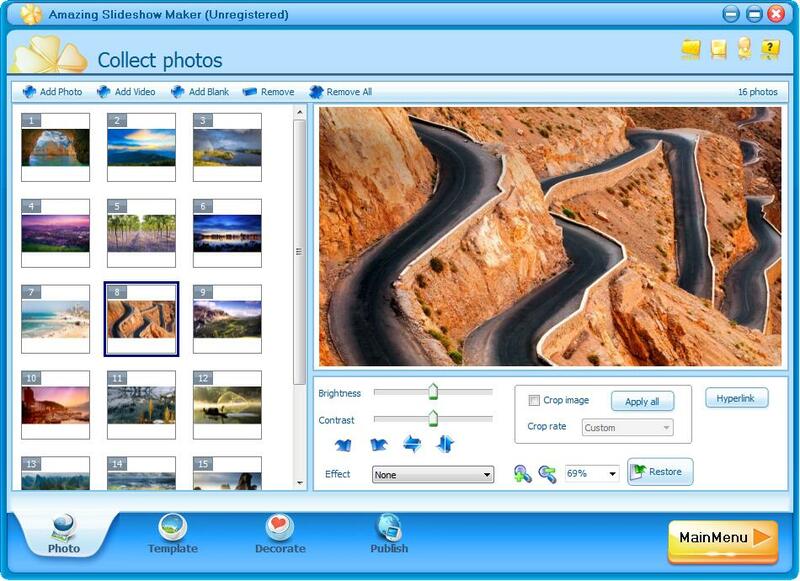 Eileen - Amazing Video Converter Ultimate is an All-in-one multimedia tool includes DVD Ripper, Blu-ray Converter, Video Converter, 3D Converter and Music Converter. Erica - Screen Recorder is the best free screen capture software which can record any screen activity with audio in one click on Windows and Mac computer.